The popularity of Buttock Implants or Enhancements has increased dramatically in the United States and Europe but in South America having a beautiful, rounded and firmly shaped “J Lo“ buttocks has always been and probably always will be considered the most attractive and desirable attribute of a woman. As a result many of our plastic surgeons specialize in buttock implants and buttocks shaping and contouring and pride themselves on creating the perfect buttock! How do I get a fabulous, sensuous and rounded buttock? The great news is you have options and even combinations within those options! There are two techniques used to create curves where you have none. Buttock Augmentation with Fat grafting technique– This technique uses your own fat from the abdomen or thighs using Liposuction. The fat is then processed and then used to sculpt and contour your buttocks to the desired shape and size. Buttock Augmentation with Implants – This technique uses a silicone buttock implant (different shapes, sizes and textures) to create a rounder and fuller shape. Fat grafting and Liposuction is commonly done in conjunction with this procedure to create the contour and shape desired. Are a you good candidate? An ideal candidate for any type of cosmetic surgery will understand that cosmetic surgery is intended as a means of enhancement. A Buttock Augmentation / Enhancement with implants can have very dramatic results depending on the patient, but individuals should be realistic about the results they can achieve through surgery. You are also at increased risk for complications if you have diabetes, poor circulation, heart, lung or liver disease, smoke, have a family history of blood clots, take certain medications, etc. You’ll want to discuss your medical history thoroughly with your physician before you choose to undergo surgery. The surgeon will request digital photos to be sent and for you to fill out our medical history form. Then we can arrange an online consultation. Your doctor will ask you to describe in detail what you would like improved. Be specific about what you would like done. Bring up all of your concerns no matter how small. This is your time to discuss your wants and desires so your surgeon fully understands your expectations. Now that your surgeon knows what you expect he’ll be able to determine whether your goals are realistic. If you have chosen to have Buttock Augmentation / Enhancement with Implants your surgeon will discuss the following with you. If you would like SSI and the surgeon to put together a possible before and after presentation for you just let us know. Implant selection :The implant is either round or oval shaped (so-called anatomic implant). Like breast implants, it comes with either a smooth or a textured surface. The content of the implant can be either solid silicone or cohesive silicone gel. The most commonly used is a solid silicone implant. 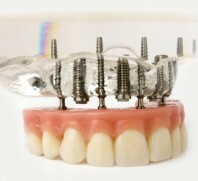 The fact that the implant is solid is excellent since it cannot rupture, spill, or deflate. The cohesive gel is not available in the United States . The decision as to which type of implant is used will be heavily influenced by your surgeon’s preference and philosophy. The augmented buttock has a natural feel, it can be somewhat firm to the touch, but it just feels like you have been working out for a long time. Superiorly on both sides of the upper buttock – Although the scars can be hidden in your undergarment or bikini, it is not recommended since the scar can be quite visible when not wearing clothing, and it requires two incisions. Inferiorly in both of the gluteal creases where the “cheek” meets the back of the thigh. This choice will leave you with two scars that also can be visible. One incision, which is, placed down the center of the sacrum – a small 4-6 cm vertical incision down the buttocks crease. This incision extremely well hidden and this approach only involves one scar. The only drawback is that it may have a higher infection rate than the other incisions. However, if this happens it is usually solved with antibiotics and wound care. If you choose this incision site you must be willing to follow your surgeons recommendations and at the first hint of infection contact your surgeon immediately. Above or below the muscle : Once the type of incision has been chosen, the next step is to decide on the placement of the buttock implant. Will it be below the muscle? Or on top of the muscle? This again will heavily depend on your surgeon’s preference; many nice results have been attained with either position. However this will depend heavily on your anatomy. The final decision will be whether liposuction is to be combined with the procedure in order to add further contour to the buttock or possibly some fat grafting. For some people just having an implant is not enough to create the desired results. So you surgeon may recommend either Liposuction or Fat Grafting along with the implants. Your surgeon will discuss this with you during your initial consultation. DO NOT eat or drink anything after midnight on the evening prior to your surgery. DO NOT bring rings, watches, or other jewelry or large sums of money to the the hospital; leave these items at safely at home. All surgery has potential complications. Although complications are not very common in cosmetic surgery, they do occur and when thinking about procedures such as buttock implants or any other surgical procedure you should be informed, before you decide on the surgery. Infections- Buttock Implants are less common than they probably should be considering the area of the surgery. Typically infections take place within 4 to 5 days and may require the implant to be removed for a few months. It is important to note infection could happen as late as one month after the surgery which would also require the implants to be taken out. Your surgeon will educate you about the symptoms of an infection. If you think you do have an infection. Call SSI or your surgeon immediately. Bleeding– This is possible as with any surgery. This in the worse case may require another operation to stop the bleeding although this is seldom required. Pain– Buttock implant is indeed a painful operation. The pain can last up to a month. Although ty.pically the first week is the worst. Nerve Injury– Small and large nerves could be injured during the operation but his is very rare. Although it is common for mild temporary numbness for the first few weeks. Swelling– Swelling is normal and may take longer than a month for noticeable swelling to subside. Skin Damage– It is possible that the overlying skin can become scarred or stretched. This may be temporary or permanent. This may also result if there is an infection. Need for another surgery– Whether due to complications, infection, accident, or revisions needed in size or shape there is always a risk you may need another surgery. Implant Breakage– Although implants are considered strong, it is possible to break them and they may require replacement. Cosmetic issues- These are visual problems such as one implant too low or too high. You may be able to see the edge of the implant through the skin. Typically we do not see these complications when the implant is under the muscle. This may mean that you would require a revision operation to achieve a more symmetrical appearance. The surgeon will request digital photos to be sent and for you to fill out our medical history form. Then we can arrange an online consultation. Your doctor will ask you to describe in detail what you would like improved. Be specific about what you would like done. Bring up all of your concerns no matter how small. This is your time to discuss your wants and desires so your surgeon fully understands your expectations. Now that your surgeon knows what you expect he’ll be able to determine whether your goals are realistic and will determine if you have enough existing body fat to achieve the results you want. It is imperative that you have enough body fat to harvest for use in the enhancement. How much fat can you expect to retain after surgery? When fat is transplanted into areas that are not predetermined fat areas, like the lips, the chance of fat survival is nominal after the first implantation if no vascularity is introduced to the inner most areas of fat. This results in fat necrosis (fat cell death) which your body will safely absorb and your augmentation results, lessened. With this procedure, reportedly there is nominal fat necrosis/absorption. Laxatives (pain medications are often binding DO NOT eat or drink anything after midnight on the evening prior to your surgery. SSI provides an overnight stay in the hospital for all Buttock augmentation / enhancement procedures to ensure your comfort and monitor your recovery. SSI and the plastic surgeons we work with do not categorize this procedure as an out patient procedure. The surgery will last usually around 3 hours depending on how many areas are being liposuctioned to harvest the fat for the grafting. The surgery begins with the fat is gently removed using low-vacuum liposuction with a special cannula that is very thin and least-damaging. The fat particles are then purified, then inserted into the layers of the buttocks. The tiny droplets of fat are carefully implanted near tiny vessels so that improved vascularity and adequate blood supply is given to the newly placed fat cells to increase chances for survival. What to expect after the surgery and during your recovery? Immediately after you will be taken to a recovery room where your assistant and nurse will monitor your recovery. The next day your surgeon will visit you and if all is well, will let you return to your hotel. An air conditioned van( so you can lay on your stomach comfortably) will pick you up and you and your assistant will go to the hotel. Expect to be sore for the first days. There will be swelling and bruising which can be helped with medication and icepacks. You will probably be more comfortable sleeping on your stomach for the first week. You will need to wear a garment in any area you received liposuction as well as your buttock area for about 4 to 12 weeks.n This will help with the skin re-draping.You will notice a definite difference in your contour, but since you are swollen the buttock will appear very. Swelling should subside within the first two weeks. Within a month you should see the final results Your nurse will check on you throughout your entire stay and you will be checked by your surgeon. The sutures are taken out in about 7 to 10 days.